The Apple iPhone allows to their users to shoot 360 degree photo in built-in camera app. However, there are many alternatives pro and free best panorama apps for iPhone that can be give you excellent performance than built-in panorama mode of iPhone. So what you want to do try something better to shoot awesome photos on your iPhone camera. Below we’re giving you best panorama apps for iPhone that will let you to take 360 view photo. The 360 Cities is a little pricey app but superb app to take panorama on iPhone (iPhone 6S, 6S Plus and earlier), iPad Air, iPad Mini, iPad pro and iPod Touch. Featured like save photos as favorite, social media share link button and this will help you to shoot finest panorama (360 degree). 360 Panorama is an awesome and instant sphere app. It’s a better and very better with every upgrade. App price is $1.99 dollar but at all, it’s not a disappointed app. This works nice to take 360 photos, intuitively and stitches nicely. Twister is a free best panorama app for iPhone, iPad. You can capture photo, 360 degree, edit your photos or simply add beautiful filters plus control the camera with just your voice. Tiny planet photos and Video is pro a app. This sleek app is compatible with all Apple iPhone, iPad and iPod Touch. So download now and starts to take your photos into tiny plants, Rabbit holes. 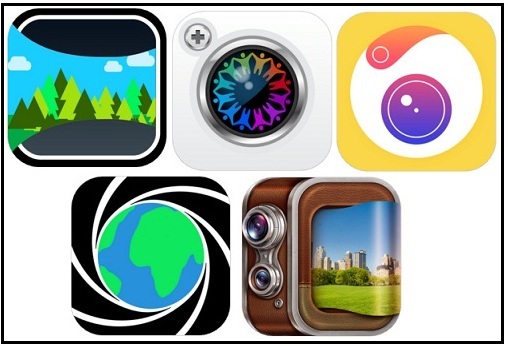 App developer claims that, this is a popular tool with photographic professionals. Camera 360 Ultimate is a free 360 degree camera app for iPhone, iPad. I believe you maximum percent feel good with app. In the app, you would get multiple camera modes, advanced adjustments. We’re so happy to sharing these best 360 degree best Panorama apps for iPhone. Now, do you have any sound great panorama app? Please share that in the comment as a sixth number app.